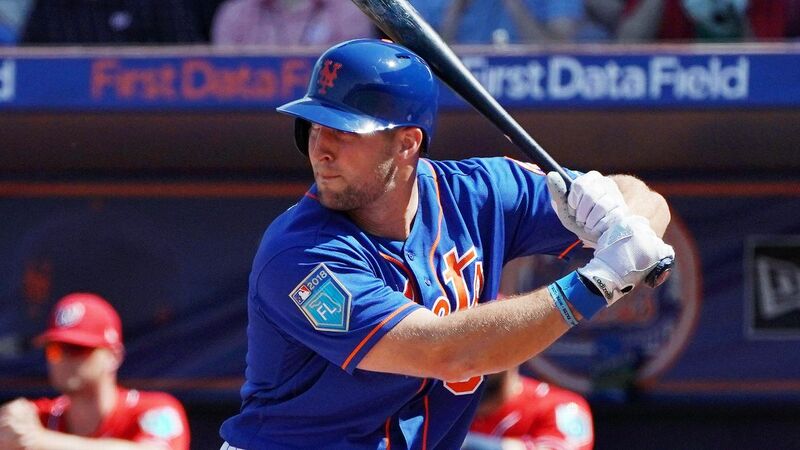 Tebow will likely begin the season at Triple-A Syracuse. He went 4-for-15 and had an RBI for the Mets in Grapefruit League action. The 31-year-old outfielder hit .273 with six homers and 36 RBIs at Double-A Binghamton in 2018, his second full season in the minors. His season ended when he broke the hamate bone in his right hand while swinging, an injury that required surgery. The Mets also sent Jacob Rhame, Paul Sewald, Arquimedes Caminero, Andres Gimenez, Dilson Herrera, Rymer Liriano and Ali Sanchez to minor league camp Tuesday.